Now LeasingLetter 8.5 x 11 4/4 1000 Qty. 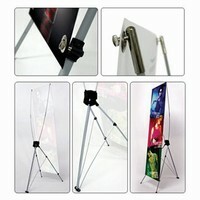 We offers avariety of banner stands for your display needs. Our best selling retractable banner stands set up quickly (less than a minute) while remaining affordable. All our banner stands are easily transported for use in trade show display booths, retail stores, restaurants, and hotels. Our banner stands, pop-up stands, and trade show banners are solid yet remain lightweight and easy to use so you will look professional wherever you go. This attractive banner is designed to be lightweight, easy to carry and inexpensive.